Seattle Washington Nanny Agencies raise the standards by ABC Nanny Source! ABC Nanny Source is zealous in our efforts to provide a phenomenal service with long-term results! Our reputation is our means of life-source! We are passionate to be the most trusted provider of in-home child care services! ABC is proud to be “The Best of the Best”! Our momentum continues as we provide Seattle families the cherishment they deserve! Our agency and its solid foundations cherish family life first and foremost! Nannies who come precisely for your family ease your worries about the stressful daycare settings, travel to and from programs and afterschool programs, and pre-K environments! Enjoy a professional who is there to improve the essence of life and time with your children! ABC takes extreme care; and our belief to uphold is that the families in the Seattle area are seeking an agency they can rely on! Our comprehensive search as well as the most centered individual inquiries for your specific needs are our missions at heart! We understand the value of our own children’s care - and bring that same level of concentration for you and yours! ABC Nanny Source only accepts candidates that we would invite warmly into our own homes! Candidates who will sing with our children; dance with our children; read with our children; educate them to their highest ability and laugh at their silly jokes. She’ll be a sweetheart that feels true empathy when they are in pain; who can relate to your devotion as a parent! We take it one step farther and GUARANTEE our dedication to you; taking all of your needs in mind - we find the most suitable fit - a Nanny who will go above and beyond from the moment you first speak! We seek only kind hearted, intelligent individuals with good character that meet our standards - and qualify through our exclusive screening process! Let us shine our lights in an area that may be grey! We are certified, awarded, and enthusiastic Placement Counselors who are conscientious in our industry! We’ll serve you wholeheartedly until your happiness is as gratifying as ours is to better your family and our lovely Seattle area! We want you to walk out your door with a smile on your face everytime you step away from home - knowing that your house is equipped with the best career nanny there is! Contact us today for that beaming effect! 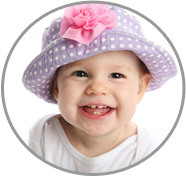 ABC Nanny Source Placement Counselors have a pride ourselves on reputable customer service! Call ABC Today!